This is a concept by Trevor Claxton, originally meant to be a full body suit. 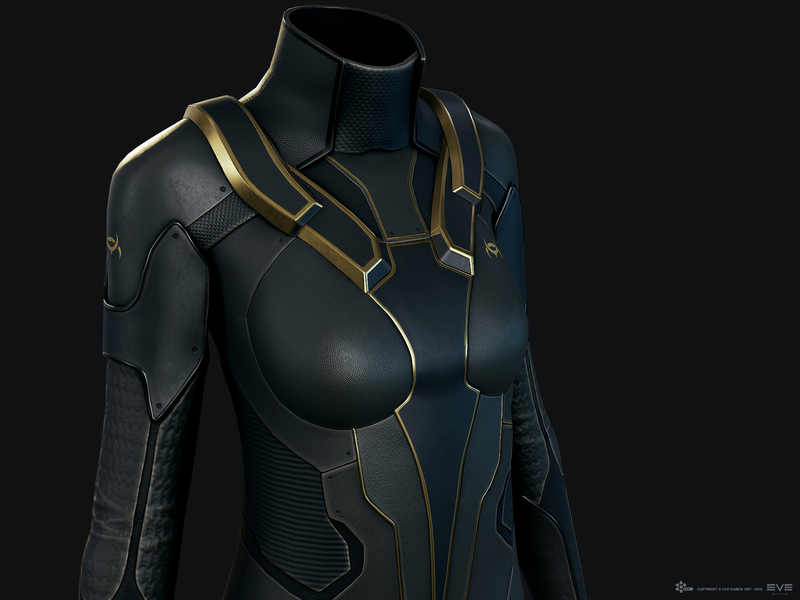 The final asset was reworked into a jacket. Made a 3d blockout in Zbrush, followed by a retopo/highpoly pass, then lowpoly and UVs in Maya, baked out maps in Marmoset Toolbag and used Substance Painter for texturing/shading. Renders in Marmoset.